← Comeptition: Win My Hero Academia – Season 2 Part 1 on Blu-Ray! It’s the news long-time anime fans have been waiting for since ‘High Definition’ releases became available but Manga Entertainment UK have announced that Ghost in the Shell: Stand Alone Complex will be released on Blu-Ray as a ‘Deluxe Edition’ release later this year as a Zavvi exclusive product. 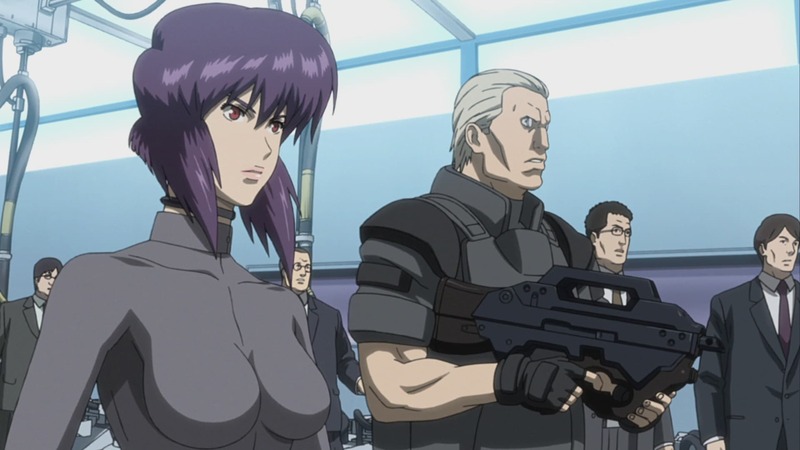 Specifically this release, which is based upon the Ultimate Edition released in France by @Anime, will contain both seasons of the Ghost in the Shell: Stand Alone Complex TV Anime, the movie recaps, known as Laughing Man and Individual Eleven, as well as the feature-length-film Ghost in the Shell: Stand Alone Complex: Solid State Society. That’s fifty-two episodes and three feature-length-films in a single collection; but wait there is more as this release will also come with a 140-page artbook and a collectors box that will hold all of the discs. This edition will include all 52 episodes of Stand Alone Complex and 2nd GIG, along with the Laughing Man and Individual Eleven OVAs and Solid State Society telefilm across 11 Blu-ray discs. Packaged in a custom digi-file, they will also feature new on-disc designs. Audio options are English dub or Japanese language with English subtitles. The subtitles are newly restored & fixed from our previous DVD editions. On-disc extras include trailer, TV spots and a treasure trove of cast & crew interviews with the likes of director Kenji Kamiyama, composer Yoko Kanno, writer Dai Sato, character designer Takayuki Goto, voice actors Akio Ohtsuka, Koichi Yamadera, Ken Nishida and more. Alongside the on-disc content, this set includes a 140-page book penned by Philippe Bunel, an anime & film journalist and author. Specially translated for the UK release, the book is available exclusively with the Deluxe Edition Blu-ray. As well as cast & character profiles, universe timelines and episode breakdowns, the book presents a study of the history, growth and influence of the Cyberpunk movement in Japan and the West, and an in-depth look at the philosophies, references and influences behind the world-renowned franchise. Also included are a 17-page image gallery, another 17 pages of annotated production sketches, a look at the career and works of mangaka Masamune Shirow, the history of Production I.G and a whole load more GITS SAC content! This Deluxe Edition of Ghost in the Shell: Stand Alone Complex is limited to 1,000 units and is available to pre-order exclusively from Zavvi; with the set itself expected to release on the 2nd June 2018.